I’m delighted to be returning for the sixth time to cover the Other Israel Film Festival, which features a diverse crop of Israeli and Palestinian cinema and is hosted by the JCC Manhattan. The 11th Annual Other Israel Film Festival takes place November 2nd-9th, 2017. 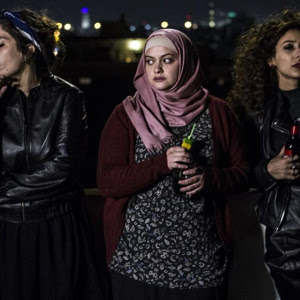 I had the chance to attend the opening night of this year’s festival, which featured the terrific “In Between,” which is a story about three Palestinian women who share an apartment in Tel Aviv. I wrote up the film and the conversation that followed over at Jewcy – check that article out here. 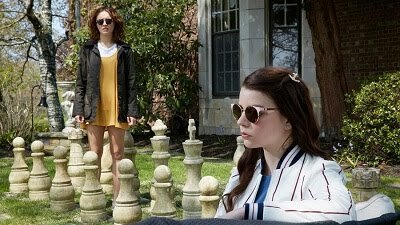 Additionally, I’ve already had the chance to see the closing night selection, “Holy Air,” which played at Tribeca back in April. Click here to read that review. Stay tuned for capsule reviews of a few more selections from this year’s festival!